Arriving Lak lake around 5:00pm. 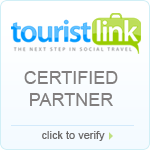 Check-in at the long-stilt-house or Lak resort for over-night stay. Let’s enjoy the best coffee of the coffee homeland in Vietnam before heading to the Kon Tum. Then, continuing ride on the Ho Chi Minh trail – always very good road to enjoy the riding and beautiful landscapes.